Two new 18-hole golf courses are coming to London, courtesy of an exciting partnership between the Menai-Davis family of developers and the revered American Dye Family of golf architects, who have been responsible for many of the most striking layouts throughout the world. The Dye family of golf course architects is renowned throughout the sport for courses familiar to millions of TV viewers such as the Stadium Course at TPC Sawgrass in Florida, the Ocean Course at Kiawah Island in South Carolina and Whistling Straits in Wisconsin, which is the venue for The Ryder Cup in 2020. “The Dye family and Nigel Ely are bringing a huge amount of collective experience of links courses around the world and will be applying everything they have learnt to West London Links. 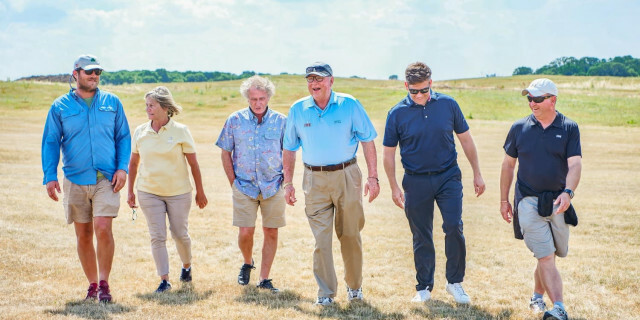 It will be the first UK golf course designed from scratch by Dye Designs, whose architects Perry Dye and Cynthia Dye McGarey will be teaming up on the project. Perry and Cynthia have earnt individual worldwide acclaim for their designs including Dreamland in Azerbaijan, Trump National in the USA, San Roque’s New Course in Spain, Mission Hills Country Club in China, and the magnificent West Cliffs in Portugal, a new course which opened in 2017 and is already ranked inside continental Europe’s Top 30 golf courses. Pete Dye, venerated throughout the sport, is the only living golf course architect in the World Golf Hall of Fame. To further deepen the partnership, the Dye family are also consulting on further course developments at The Shire London, a Seve Ballesteros design which opened in summer 2007 to great acclaim, and which was subsequently voted London’s #1 golfing attraction in an online poll*. Matt McGarey is consulting with the team at The Shire London on the development of a comprehensive new short game area there, plus the reshaping and reconditioning of several key bunkers on the 7,028 yard par 72 Ballesteros Masters Course. The Shire London’s 13th hole is also being remodelled during the work. “Speaking as someone who, in the late eighties, was barred from joining a golf club because my face didn’t fit, I have been fortunate to have worked subsequently with the world’s best golfer, Seve Ballesteros, and with the world’s best golf architects, the Dye family” said Tony Menai-Davis, managing director of The Shire London, West London Links, West London Golf Centre and The Dye London. 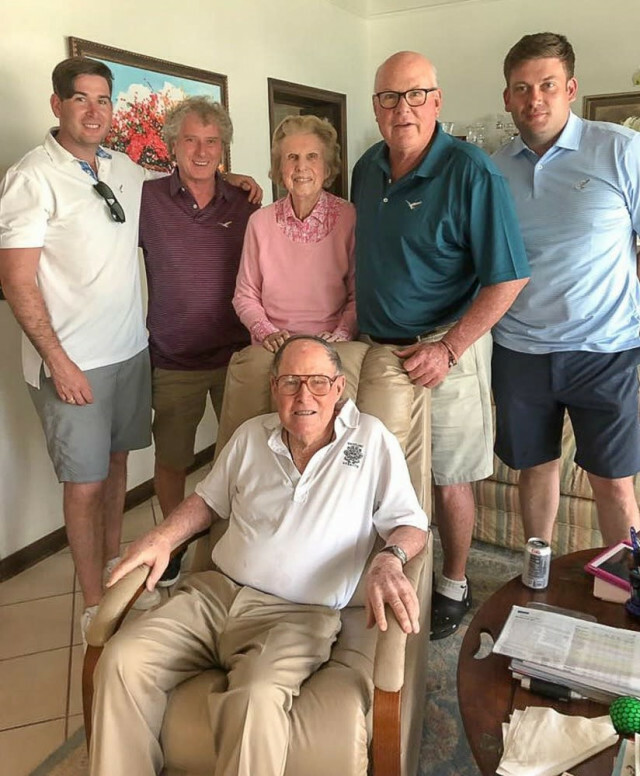 “It was a privilege to introduce my sons and fellow directors Ceri and Cae to Pete and his wife Alice Dye at their home in Florida earlier this year, and we are thrilled to be teaming up with the Dye family in bringing these brand-new golf courses to life. It is also special to have their expertise now involved at The Shire London as we enter our second decade there. “It is certainly an exciting time to be a golfer in London” he said. Further announcements will be made about the West London Links over the coming year, as the Dye and Menai-Davis teams put the finishing touches to the new golf course. For the latest news see www.theshirelondon.com.